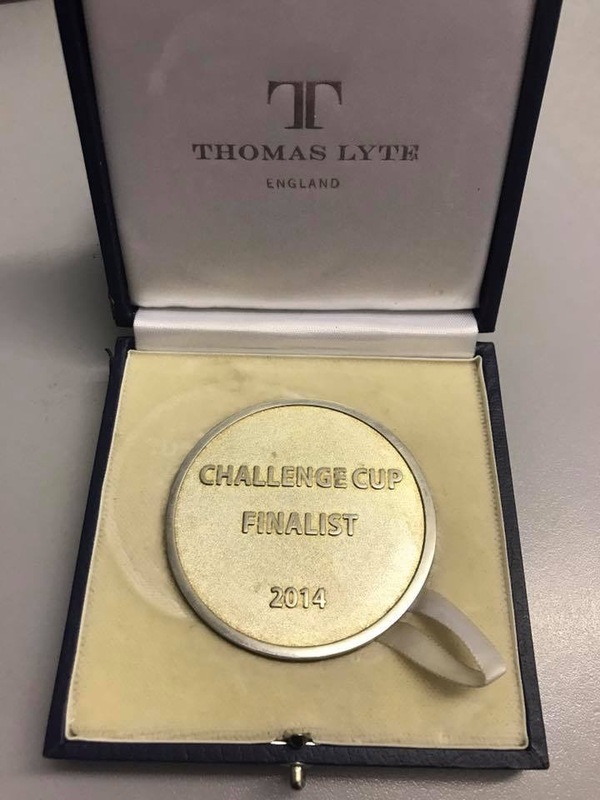 On 23 Aug 2014, Castleford Tigers played Leeds Rhinos at Wembley Stadium in the RL Challenge Cup Final. Leeds won the game 23 - 10 before a crowd of 77914. Dorn, Dixon, Webster, Shenton, Carney, Sneyd, Finn, Lynch, Clark, Huby, Holmes, Hauraki, Massey. Subs used - Mariano, Wheeldon, Ellis, Jewitt. 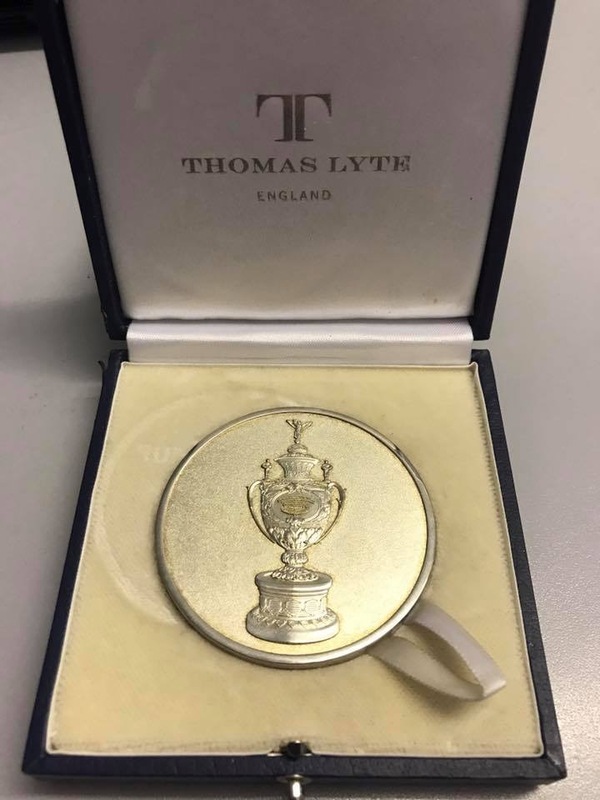 This is the medal received by the Castleford Tigers players after the game. NOTE: If you decide to share a photo from this website on social media (or elsewhere) please ensure that you state that it was sourced from the Castleford Tigers Heritage Project website at www.castigersheritage.com. Volunteers have worked hard to produce this information and your assistance in promoting the site to a wider audience by encouraging them to visit is greatly appreciated. Thank you.